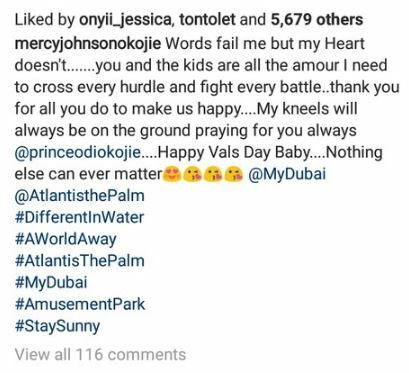 - Mercy Johnson celebrates husband on valentine's day with emotional write up. 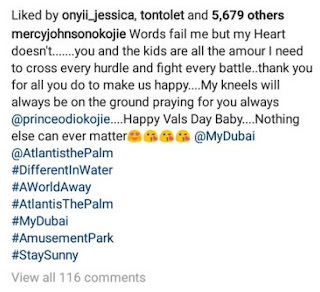 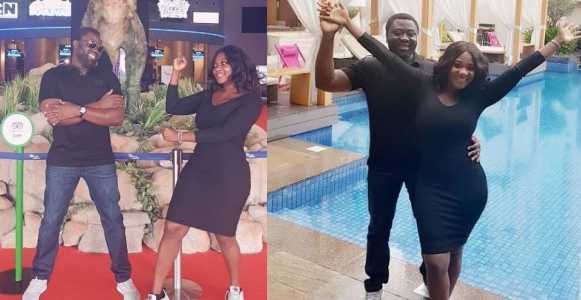 Actress Mercy Johnson and her husband Prince Odi Okojie are celebrating Valentine’s Day in the cutest way ever. She took to social media to celebrate her love for her husband, Prince Odi Okojie on Valentine day.